There have been numerous women painters in twentieth century India but unfortunately most of them remain under-represented. Atasi Barua is one such painter who has remained unnoticed since years. One would think that being from the Tagore family, she would have received her share of recognition, but this has clearly not been the case! Like Sunayani Devi , web-search results about Atasi Barua too, hardly reveal anything. Thus, Women’s History month seems like a fitting occasion to honour this talented artist. Born to Sarojbasini Devi and esteemed painter Asit Kumar Haldar at Shantiniketan (West Bengal), Atasi Barua (September 4,1921 – June 26,2016) was Rabindranath Tagore’s great-grandniece. It was Tagore himself who named her as ‘Atasi’ after a blue flower. Her father was one of the earliest students of Abanindranath Tagore. 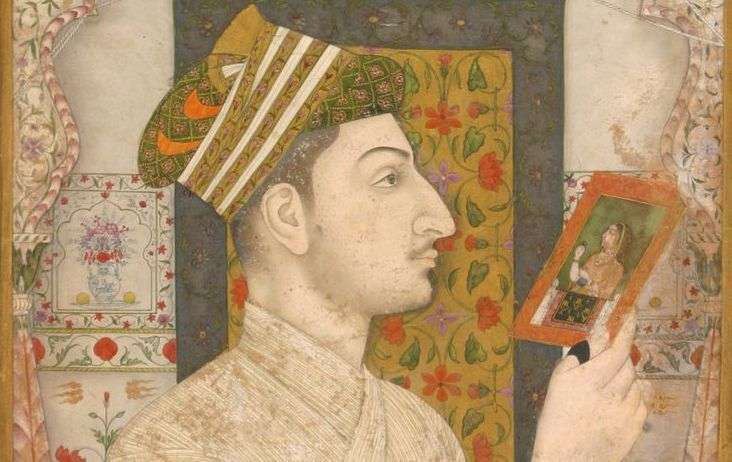 When she was three or four years old, he joined the Jaipur Maharaja Art School as Principal. Thus, she had to bid adieu to Rabindranath Tagore and Shantiniketan early in her life. During her father’s tenure at the Maharaja’s School of Arts and Crafts in Lucknow, Atasi studied at La Martiniere College, Lucknow. Under the influence of her father, she too became an avid painter. She practised art even till the last days of her life. She died at the age of 95 at her residence in Kolkata. Since childhood, Atasi was passionate about painting. She lost her mother at a tender age and this unfortunate loss made her childhood lonely and miserable. During this period, it was her brushes and colours that were her constant companions. Little Atasi spent her entire day in the garden and painted whatever she came across. After completing, she used to run to her father to get her paintings checked. Her loving father, Asitkumar Haldar, never failed to appreciate and admire the budding artist’s paintings. This gradually increased her self-confidence as an artist. When she grew older, she often had long discussions with her father regarding various styles and techniques of painting. Asitkumar was confident about his daughter’s magnanimous skill and thus, always encouraged her. He respected individuality as a painter and never imposed his own ideas on her. As a result, despite her artistic lineage, Atasi was self-trained. Other than the constant encouragement, she never received any formal instruction from him. At the early age of sixteen, Atasi was married off to Dr Arabinda Barua, an eminent Buddhist scholar and a barrister from Chittagong in East Bengal (now Bangladesh). Despite new responsibilities, she was committed to art and managed to save time for it even in between household chores. It was during this phase that her passion and love for art grew stronger. Since she had not yet established herself as a painter, she was still receptive to new influences. Her husband’s Buddhist background came to have a profound impact on her art. Gotami and other female devotees of Kapilavastu. Most of her paintings depict the life of Lord Buddha and cave paintings of Ajanta. Spirituality formed the main content of her painting and line drawing was her preferred medium. However, on a different occasion, she expressed that watercolour was her favourite medium of painting. She believed that it helped the painter to present the subject and express his or her artistic vision in the best possible way. Her first breakthrough came when she was going through familial hardships on a personal front. Her painting entitled Birth of Lord Buddha secured extraordinary admiration. She also won a monetary reward at the 11th Annual Exhibition of the Academy of Fine Arts, Calcutta. Later, she became a member of the ‘Artist’s Society’ of Calcutta. 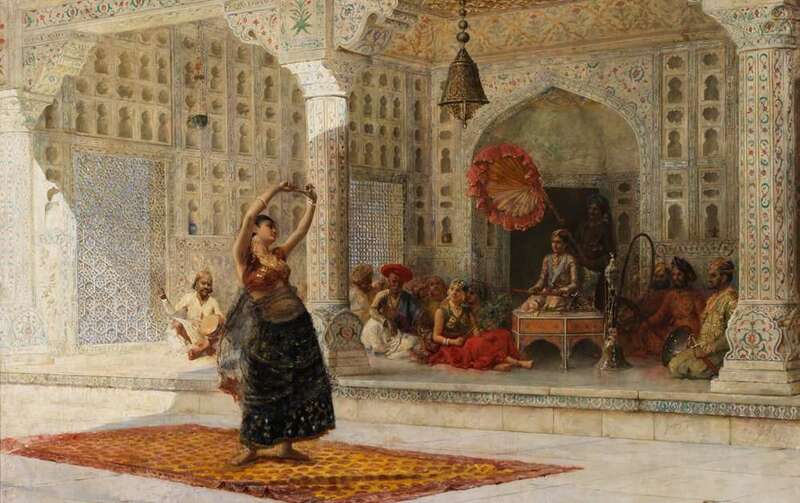 Upon the initiative of this society, her paintings were exhibited widely in places like Bombay, Delhi and Lucknow in India, and Columbo, Tehran, Cairo, Bangkok and Tokyo abroad. One of her paintings was acquired for the Peace Memorial at Hiroshima. In 1958, Atasi Barua’s solo exhibition was organised at Artist House, Kolkata which was applauded by contemporary critics such as O. C. Ganguly and Abani C. Banerjee. Another solo exhibition was held at the Birla Mandir, Kolkata in 1971. She gave several radio talks at AIR, Kolkata on various topics including art and interior decoration. Today, her works have been preserved in several countries, like Sri Lanka, Burma, Iran, Japan and the USA. Atasi was also passionate about portrait drawing and sketches. She travelled to several places with her husband and attended national and international conferences in Sri Lanka and Nepal in 1950 and 1956 respectively, where she came across several eminent personalities and scholars from various fields. Skillful in making rapid and realistic portrait sketches, Atasi did quick portrait studies with many of them. Within five to seven minutes, she presented her completed sketches to be signed by them. Few of the eminent personalities she sketched were Jamini Roy, Nandalal Bose, B. R. Ambedkar, Ho Chi Minh, O. C. Gangooly, Nabanita Dev Sen, Kalidas Nag, Meera Devi (daughter of Rabindranath Tagore), etc. as well as family members and domestic helpers. Of all forms of artworks she has created, line drawings form her largest body of work. Upon the request of Mahabodhi Society, she created twelve paintings based on the life of Lord Buddha which were also published in a pictorial book by Mahabodhi Society in 1949. Coming across this publication, the director of Digambar Jain Temple located at Belgachhia area of Calcutta commissioned her to create a series of drawings based on the life of 23rd Tirthankara, Parshvanath. These were later transferred to marble relief by a stone craftsman from Jaipur. Other themes she explored through line drawings include dancing figures, such as an exquisite study of the apsara Urvasi in Indra’s court. Besides this, she worked mostly with watercolours but also also tried her hand in wash technique, tempera, crayons and oil. She also created numerous landscapes that were usually based on her travels, of sites related to Lord Buddha or other deities. 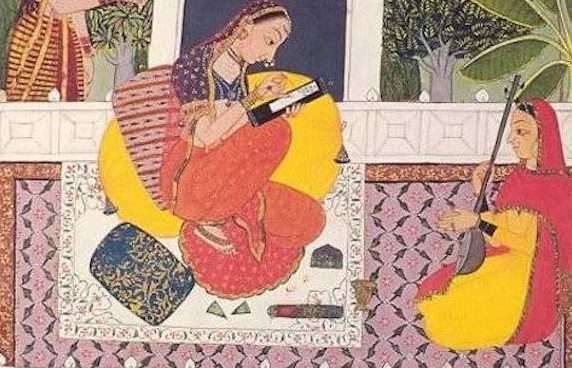 When society says that motherhood stands as an obstacle for women, Atasi Barua defied that stereotype and proved that neither motherhood nor old age can beat the will power an artist. Atasi Barua is truly an indomitable artist! Thakurbarir Andarmahal by Chitra Deb. Catalogue of Father and Daughter: Laying Down the Linework curated by Dr Debashish Banerji. Shilpi Das is a student of English Literature. She is currently engaged in her PhD research on the rediscovery of the 20th century women painters of India.